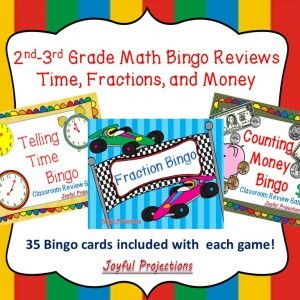 Home » GRADE LEVELS » 2nd Grade » Time For Review!! 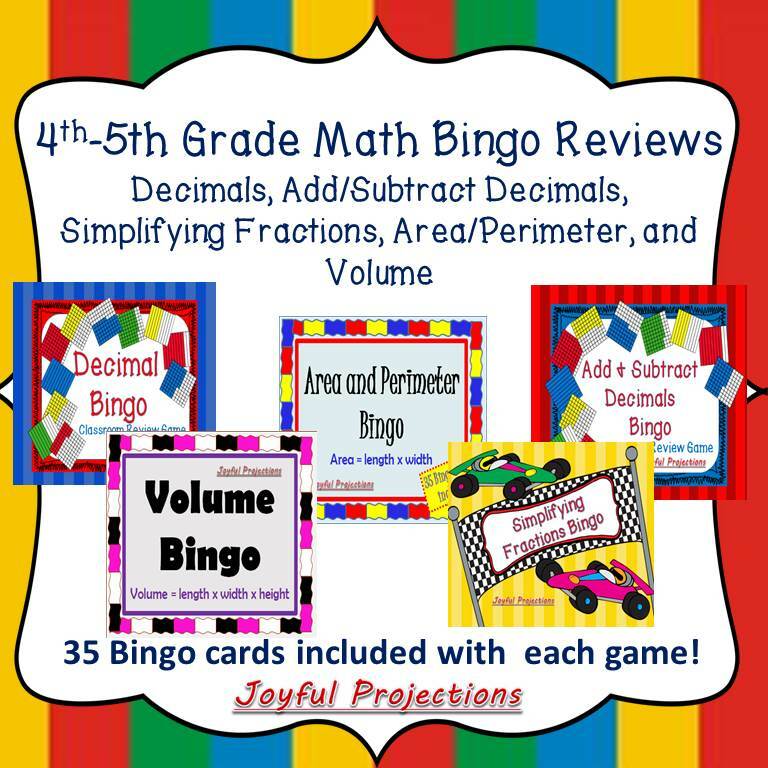 Lots of Bingo Games, Task Cards w/ QR Codes, and many other ways to review your year’s worth of lessons – just in time for end of year testing!! Kids love Bingo – and in each of these games they will actively review the processes you’ve taught for counting money, telling time, finding perimeter, area, and volume, fractional parts, and identifying, adding, and subtracting decimals. 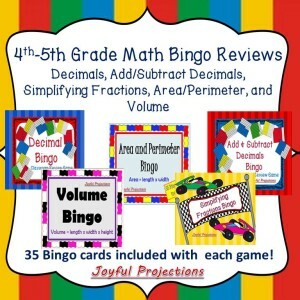 Tons of fun for students, and easy review activities for teachers!